Shray is originally from South Riding, Virginia. He was a four-year member of the program and was a competing member of teams that were the national runner-up in 2016 and national champions in 2017. Shray was twice named an All-American Attorney, and he served multiple times as a team captain and as the president of the program during his fourth year. 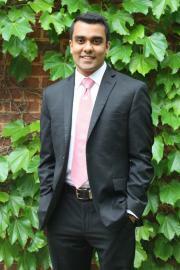 Following graduation, Shray worked as a consultant in Chicago. View Shray's career individual awards by clicking here.